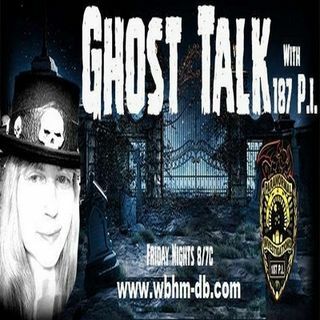 Ghost Talk Radio with 187 P.I. | Ghost Talk with 187 P.I. Ghost Talk Radio with 187 P.I. From: Ghost Talk with 187 P.I. The Universe & Paranormal Activity Shelly Burk Robertson & Kristin Boyd will be discussing some of the mysteries of the Universe and how they affect paranormal activity.